Learn skills used for quantitative modelling positions, from structuring to pricing complex derivatives and fixed income securities on our Financial Mathematics master's course. To successfully complete the Financial Mathematics postgraduate course, you must have a very good understanding of mathematics. You may well have studied maths, physics or engineering degrees as an undergraduate. Or you might have a bachelor’s degree in economics or science and in particular computer science, which, coupled with your interest in stochastics, could also qualify you for this programme. You should have a general interest in learning the more technical and mathematical techniques used in financial markets; but you don’t need to have a background in finance. The master's in Financial Mathematics focuses on stochastics and simulation techniques, but also covers some econometrics. You’ll study core modules covering asset pricing, risk management and an introduction to key financial securities such as equities, fixed income and derivatives. You’ll cover a wide range of elementary and advanced topics in stochastics, including Levy processes and different simulation techniques. You’ll be taught Matlab and VBA and you have the opportunity to learn other programming languages as part of our electives offering, such as Python or C++. There are three ways to complete the third term. Either you’ll choose five electives from around 40 optional modules in your final term. Or you can choose to complete a traditional dissertation, known as a ‘business research project’, which counts for four electives, or a shorter ‘applied research project’, which is the equivalent of two elective modules. You will have gained a very good understanding of the technical aspects used in financial markets, including wide ranging financial theory and different financial assets. You will gain a good understanding of stochastic and mathematical finance and gained some knowledge of econometrics and forecasting. You will also have obtained a good understanding of programming, in particular Matlab. From the MSc Financial Mathematics you will also understand how the theory is being applied in the financial industry and what practical issues are. In the third term you have three different options how you can complete your MSc, including a project or choosing only electives. Popular electives include Modelling and Data Analysis, Advanced Financial Engineering and Credit Derivatives, Credit Risk Management, Quantitative Risk Management. Introduction to Python. This module focuses on the introduction of pricing financial securities, which forms the basis for understanding asset pricing behaviour and the cornerstone of many asset pricing models. The focus is on spot securities, mainly equities and debt instruments. The module also introduces students to the fundamental theory used by practitioners and academics in the wider field of finance, in particular asset management. That includes portfolio theory, the CAPM, factor models and measuring risk and return. Those concepts are widely used by financial market participants. At the end of this module the various building blocks are being put together in the discussion of performance and persistence of performance of mutual funds. Strong research skills are a key element of development strategy for companies and institutions large and small. In particular the ability to programme and to automate procedures. This module focuses on MATLAB and VBA as a programming language. The module introduces the main programming skills which are helpful in the financial industry. Operating on matrices or arrays, loops, subroutine and optimisations are core skills which are being introduced in this module. Financial disasters are a constant reminder of the relationship between financial risk and reward. The quantitative approach to this relationship is ever more dominant in the market and subject to constant innovation. Introduce you to pricing frameworks that go beyond the Black-Scholes model and the necessary numerical methods. This module focuses on applications of numerical methods and programming languages to finance. Students will learn Monte Carlo Simulations; Tree-based pricing methods; Fourier inversion based methods; Applications in Risk Management. This module integrates the programming language Matlab and is partly lab based. See the MSc in Financial Mathematics programme specification. Assessment of modules on the MSc in Financial Mathematics, in most cases, is by means of coursework and unseen examination. 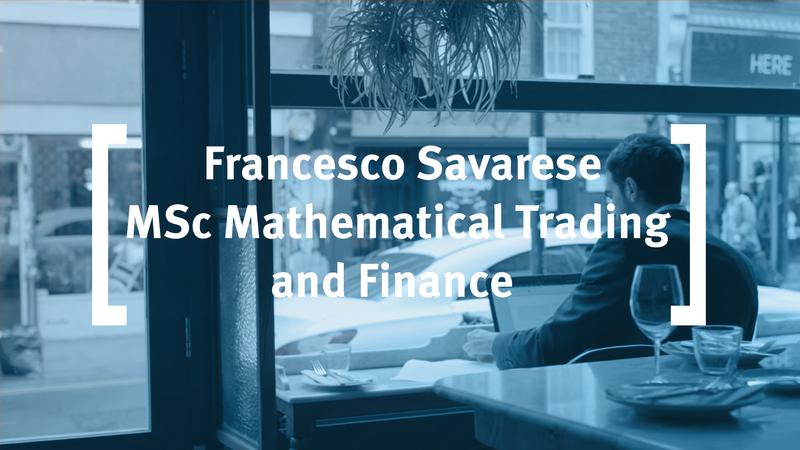 This knowledge and experience inform the highly interactive lectures that make up the MSc in Financial Mathematics. 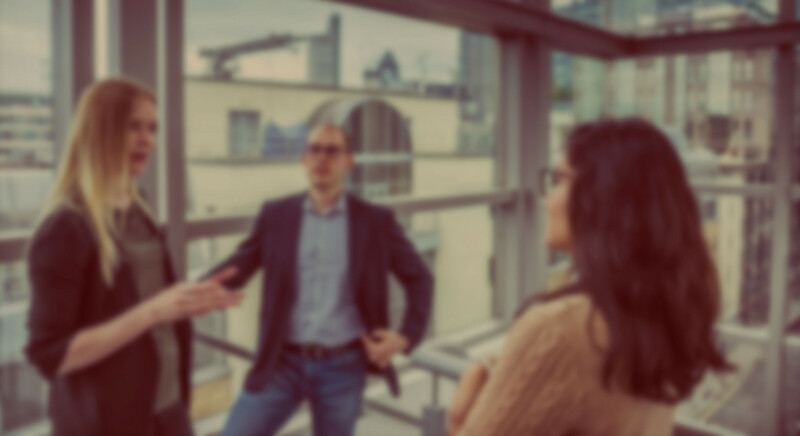 The job opportunities for students from the three quants masters programmes are very similar and students usually find employment with either large investment banks, or smaller specialist companies or financial boutique firms. Working as a quantitative analysts using stochastic, technical risk management position, pricing fixed income securities and structuring are some of the positions Financial Mathematics students are well qualified for. The remaining industries are made up of Energy/Utilities (17%) and Oil/Gas (17%).